Plastic injection, exact copies of these hard to find originals. Fits on both horn contact rings. 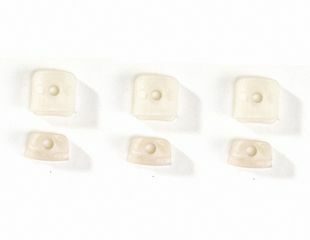 Insulates mounting screws from contact rings. Kundenbewertungen für "65-67 Ford Mustang Überholsatz für Hupkontakt - Isolierungen"